He shared the screen space with lot of top actors of yester years especially Sir. 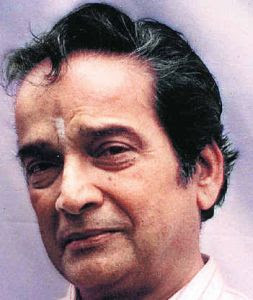 Shivaji Ganesan, Sir. MGR and he also played the villain role to our top heroes of all times Mr. Rajinikanth and Mr. Kamal Hassan. He was there in the industry for almost 60 years and has played close to 700 movies. He and his counterpart Mr. Veerappa are supposed to be the most notorious villains of tamil cinema who have won millions of hearts through their excellent acting skills. Nambiyar though acted as villain in most of the cinemas, is a gem of a person off the screen. He is a serious devotee of Lord Iyappan and he used to visit Sabharimala during the month of "Karthigai". He has the record of going to Shabarimala for 50 plus years continuously, without even missing once. Nambiar who generally used to act like smoking cigars and drinking alcohol in movies, is a tee-totaller in real life, he is a person with 0 bad habits. He also practiced YOGA meticulously and the way he maintained his body, is something unbelievable. He never looked old for his age; he used to be very energetic and lively even at this age of 90. Tamil cine industry has lost one of its greatest human being and an excellent actor. Life is so cruel and death is something you cannot stop. I pray for his soul to rest in peace.